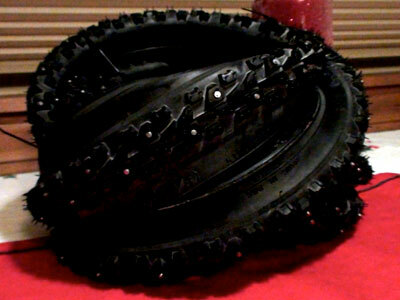 These Kenda Klondikes are going on the Kona Jake the Snake for some test riding in the snow. Mark will report the tires he’s running on his drop-bar MTB, in another post. Tip: he’s running about three times the studs per tire as these.